This has got to be the number one question I get asked. The answer is simply “No” – I wasn’t scared before or during the race. I wasn’t even mildly apprehensive. I’d spent a long while preparing and training for the race, so I felt completely ready for it, mentally, physically and in terms of my ability. I’d also dealt with all my potential ‘fears’. So I’d spent time thinking through the various things that might arise, that could potentially be ‘scary’ and I thought through how I might feel, what I might see, what I might do. I then mentally prepared, rationalised my thoughts and compartmentalised them. I effectively acknowledged that what I was doing was dangerous, and came to terms with the very real risks and dangers, and so I was completely ok with it. I knew what I was up against. I did this following advice from a guy who once faced a polar bear on a polar expedition, he had mentally prepared for it, and so could deal with it… his advice was to ‘prepare for your polar bear moment’ and ‘don’t put your body somewhere, that your mind hasn’t been’. This was sage advice, and I would give this to anyone else about to embark on an adventure, or facing a potentially dangerous situation. Mental preparation is everything. This is a funny question. 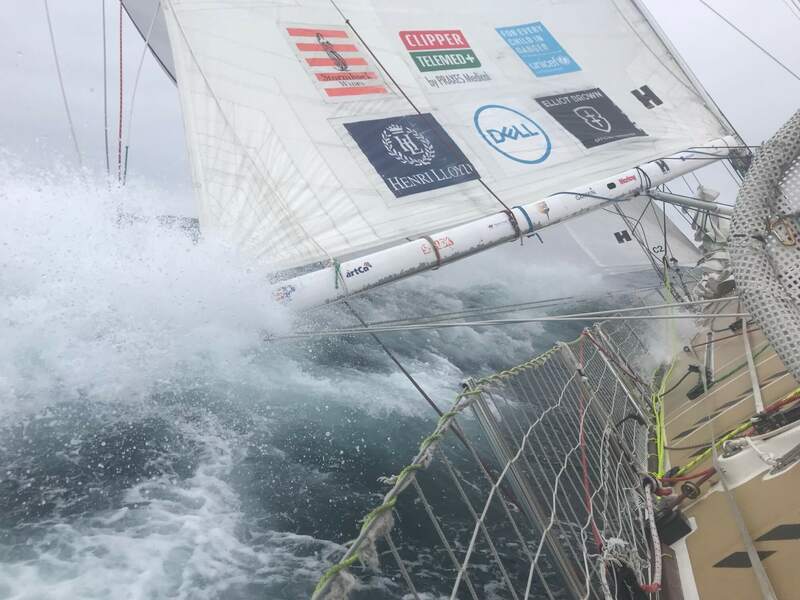 I’ve done it, so no I wouldn’t ‘do the clipper race, leg 8 again’, but I would certainly do other legs, sail the Atlantic (or other oceans again) and if I turned the clock back and had to decide whether to do the race or not, it would be a resounding yes. 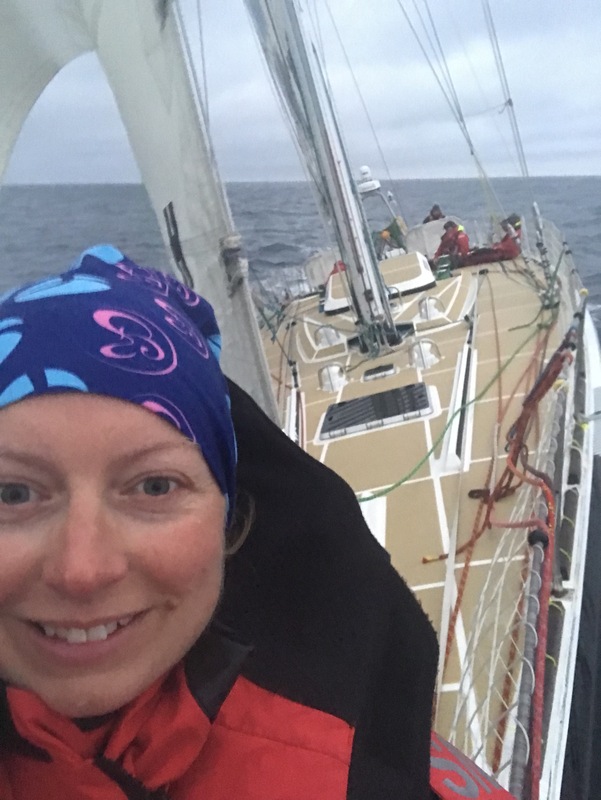 I learnt so much over the whole experience (from training through to the end of the race), I’ve met an incredible and inspirational bunch of people, some of whom I’m lucky to be good friends with, and I have had one of the most incredible experiences of my life – sailing halfway across the world! We ate fresh food for the first few days. After that it was tins of various things, dehydrated meat (never again will I eat that stuff), pasta, rice, chorizo that kind of thing. I didn’t enjoy the food that much… one meal made me instantaneously vomit! 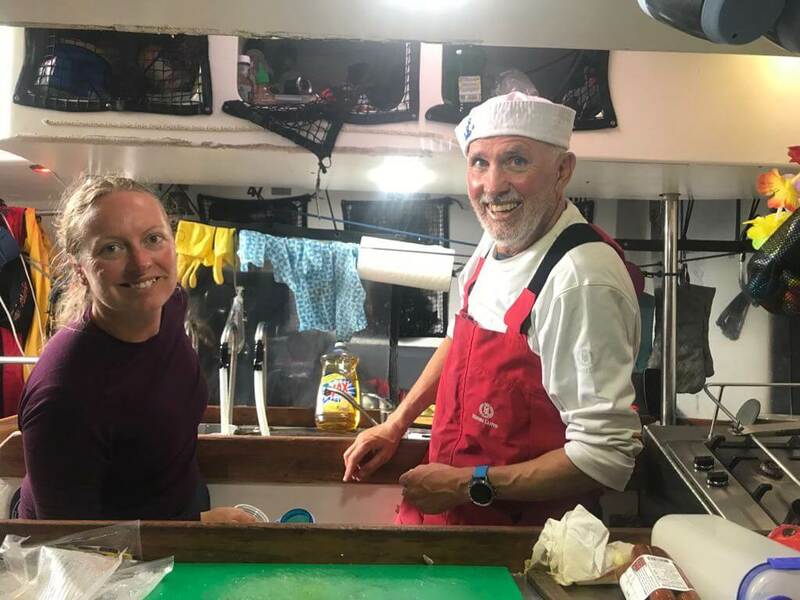 I also didn’t enjoy cooking the food – but you can read about that in my Clipper Race blogs! 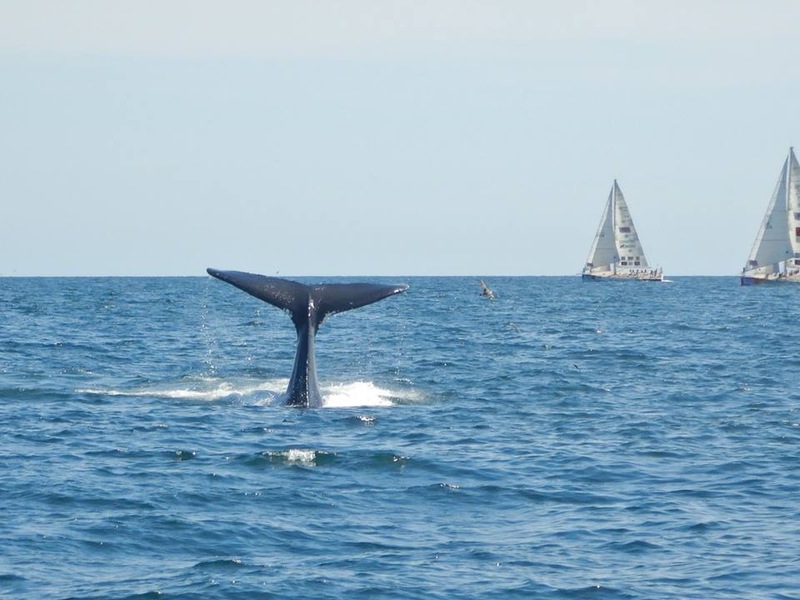 Yes – an abundance of whales and dolphins. Far more than I thought we would. We were absolutely spoilt. Did you see any other boats? No, not really. 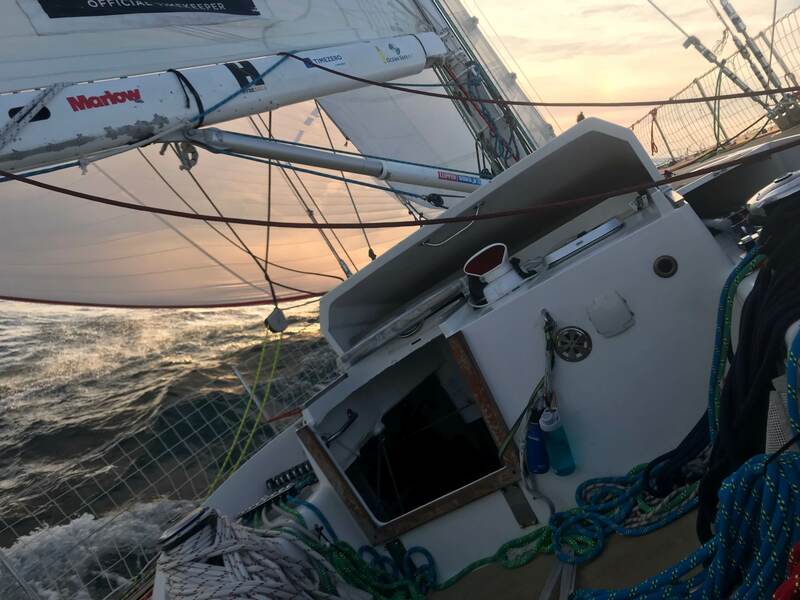 We saw other Clipper boats at times, but that was generally at race start or near the finish line, as we all took quite different routes and applied different strategies. We did at one point get within 5nm of the Queen Mary, but we didn’t see her unfortunately. There were so many best bits. 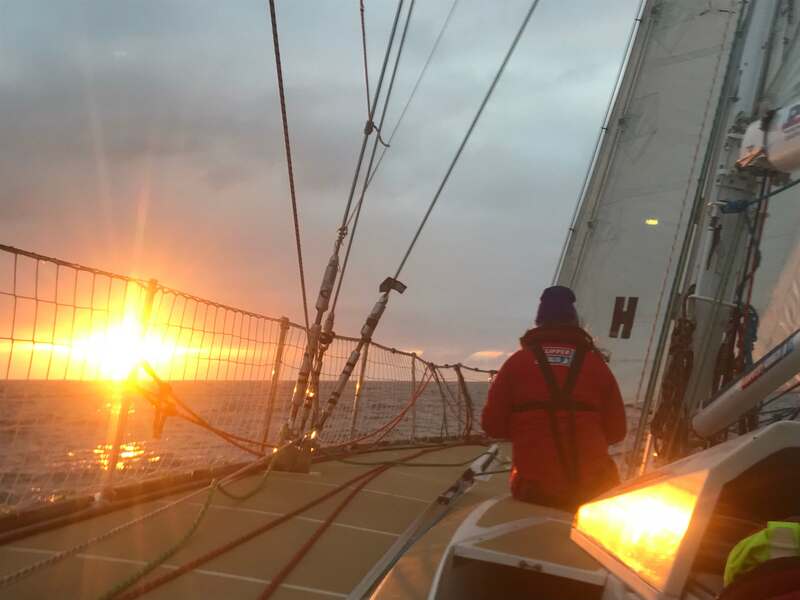 The highlight being race finish – perfect sea state and plenty of wind, me with an active job on the yankee sheets, guard rail in the water, close quarters race in to Liverpool. We led the race all the way in, thousands of people lined the river banks, including my friends and family, that was such a special moment. One I will never forget. Other highlights were just the sheer simplicity of the ocean, the endless 360 degree horizon, with nothing but water in sight. That feeling of scale, and just how small we are. The beauty of the marine life, how they came to lighten our spirits and say a passing hello. The stars, the moon, the waves and the bioluminescence. The podium finishes, we were lucky to get on to the podium for all 3 of the races that I competed in. The disconnect from everyday life – from the hustle and bustle, the meaningless news and politics that is always so front of mind when onshore. And finally the Derry Parade of Light, that was so fantastic to be part of. What about your worst bits? How did you cope with the living conditions?! The lack of sleep and living conditions weren’t a problem for me. 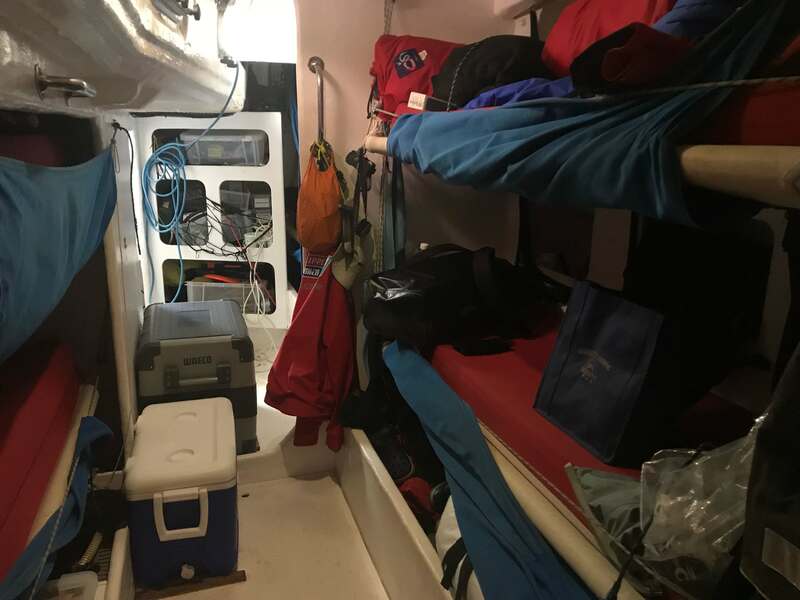 People will tell you horror stories about using the heads, or living in a confined space, but this is just boat life. I’m good with this! But how do you wash? There’s no shower or hot water onboard. So it’s baby wipes all the way. My routine was to baby wipe my entire body 3 times a day – basically every time I got in to my bunk to sleep. After each chef duty (once a week) you’re given a jug of water, and with that you can have a proper wash. I didn’t feel dirty, so it was all good! Did you get any really bad weather? To be honest, no. It was a perfect crossing. We had some fairly big swells at times, but nothing compared to what we could have had. I think the maximum wind we experienced was about 40 kts. Did you ever feel that you might just capsize? No, absolutely not! Haha. These boats are the Land Rover of racing boats, they are 40 tonne beasts which are built to endure the toughest ocean racing conditions. The boat are known to heel a fair amount, and we definitely experienced that! At times the spirit level bubble (which goes up to 45 degrees) was off the end of the scale for days at a time. I didn’t have time to get homesick. I thought of my kids often when I got in to my bunk, I’d look at the time, work out what the time was at home and imagine what they might be doing. I sent them my virtual love. But it had to be a brief period of thinking, as any time spent pondering or thinking of anything but what you were meant to be doing was time lost, and in my case, this would mean lost sleep time. Generally though, life on board is too busy to even think for a second about home. Sailing is so all encompassing, that you can’t stop and think of much else. Any advice to someone thinking of undertaking an adventure ? Go for it. A friend of mine introduced me to this quote “Live the life you love, and love the life you live.” Life is short, and you never know what may come up in the future in terms of your own health, health of your loved ones, or anything else for that matter now. Too many people create their own barriers… ‘I want to do X YZ, but…’ Remove these, and make your dreams happen. What advice do you have for future crew? Prepare as much as you can – mentally and physically (fitness is crucial). Also get as much experience on the water as you can – as many different boats, crews and conditions – they say it’s not necessary, but it will be hugely beneficial. More sailing. I still haven’t got around to doing my Yacht Master Offshore practical exam. I need to get that done this year. 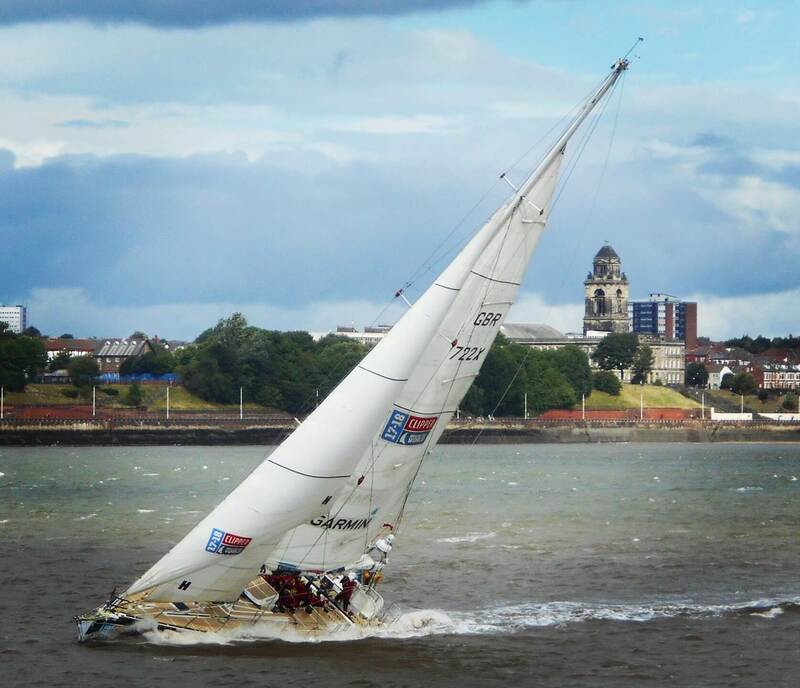 More offshore racing in due course, maybe the fastnet and Sydney-Hobart in a couple of years, for now though I want to prioritise my family and not be away from them for a while. I’ve also finally decided to formalise my education in Marine Biology, and have recently completed a Diploma and am now undertaking an Advanced Diploma in Marine Biology. I’ve loved re-visiting some of the topics I studied at University, like Oceanography, but also have enjoyed building on my knowledge of marine species. It’s been eye opening, and has really supercharged my wanting to preserve our Blue Planet.